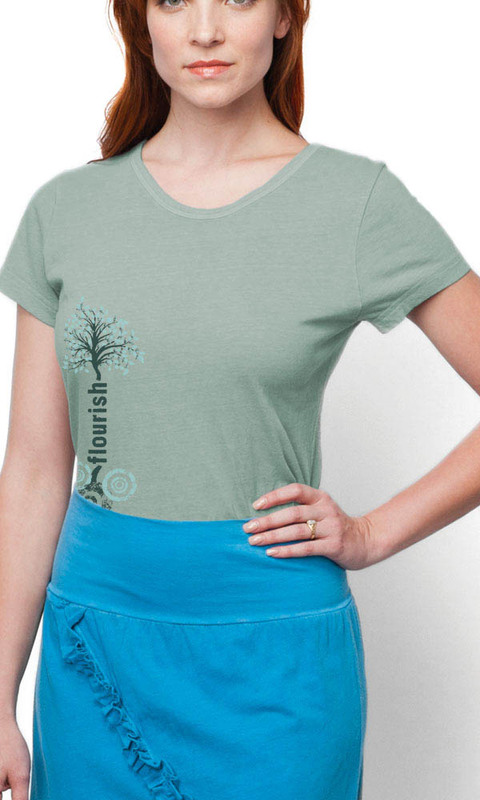 A stylized tree grows from a seed up the right side of this tee. 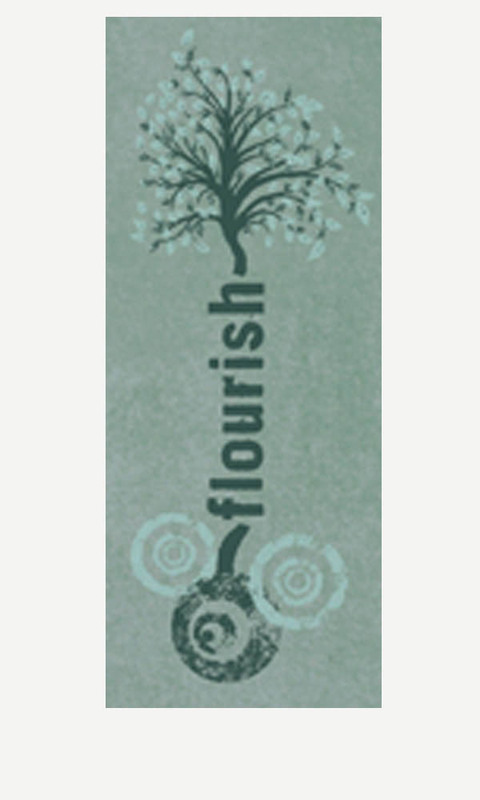 Flourish where you are planted! Printed with non PVC inks on our slim fit ladies tee. Garment has a very soft hand. Medium length from shoulder seam down the back is approximately 24".